The most cost-effective and non-invasive route for body shaping remains a carefully managed diet and activity programme. Maintaining calories consumed to be less than calories used day-to-day will result in gradual weight and fat loss from all over the body. However, lifestyle and the desire for fast and specifically anatomical targeted results make body shaping treatments the fastest growing aesthetic treatment option today. 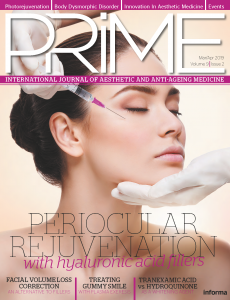 The speed of this growth is boosted further by the consumer fascination with Celebrity and their trend of making medical aesthetic procedures more acceptable in mainstream society. In 2016, the global market for all body shaping and skin tightening device platforms and disposables reached $996 million, and it is expected to expand by 14.5% per year through to 2021, driven by this rising consumer interest1. 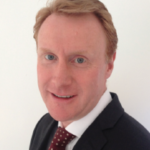 There are many different treatment options available, from surgical tumescent liposuction and laser lipolysis using lasers inside the tissue as an adjunct to the traditional liposuction technique; through to non-invasive fat reduction techniques using laser, selective cryo-therapy, high-frequency focused ultrasound, radiofrequency devices (mono-, bi- and multi-polar), magnetic field therapy, lipid dissolving and endermology/vacuum/massage. While liposuction remains the most common single technique, the procedure is not without associated risk, recovery and down-time. There is increasing demand for the alternative non-invasive methods to provide the rapid results but with reduced impact on returning to everyday routine. Where liposuction is expected to see a steady 1.7% growth in demand in Europe from 2015–2020, energy-based devices for skin tightening and body shaping is expected to see a 15.9% increase1. The use of a laser for non-invasive targeting of fat reduction/body shaping began with the use of low-level laser or ‘cold’ laser. This modality uses low doses of laser light in the visible red and infra-red wavelengths, which are identified as triggering an interaction with cytochrome c-oxidase within the cell mitochondria and temporarily creating pores within the cell membrane, through which the triglyceride contents can exit but leave the cell intact2. Higher powered infrared lasers were also being used as an adjunct to the liposuction procedure, introducing the laser energy directly into the tissue via minor incisions to facilitate fat break-down and extraction with procedures such as the Smartlipo® Triplex® and Cellulaze®. Progressing from these invasive laser lipolysis devices came the goal of increasing the temperature of the adipose tissue using an externally applied laser. The effects of hyperthermia on adipocytes has been demonstrated by several studies. Raising adipose tissue temperature, just a few degrees Celsius above normal body temperature for several minutes resulted in cell injury and delayed adipocyte death3. The application of the 1060 nm diode laser for fat reduction is the first and only FDA cleared hyper-thermic laser for non-invasive lipolysis. SculpSure® uses the application of external 1060 nm diode lasers to deliver thermal energy to the adipose tissue to destroy fat cells while maintaining suitable cooling of the skin surface to prevent associated discomfort or risk of side-effects that might come with excessive temperature increase in the skin. Clinical investigation with the device has demonstrated an average fat volume reduction of 24% at 3 months after the first treatment4. 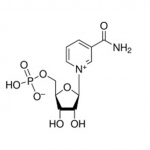 The 1060 nm wavelength provides direct bulk heating to the adipose tissue. This wavelength has many advantages including its minimal absorption into the dermis so it can be used on all skin types. In addition, its deep penetration into the subcutaneous fat layers provide the bulk heating needed to destroy adipocytes. Adipocyte injury can be induced when the cells are heated to a temperature of 42–47 °C and then sustained at that temperature over a sufficient time. These damaged cells are then gradually removed by the body’s inflammatory process and metabolic pathways and the volume of fat in the treated area will decrease. The SculpSure® treatment involves a dual stage process of heating; the build phase, where the target tissue is brought up from normal body temperature of 37 °C to between42–47 °C in the first 4 minutes of treatment; and then the sustain phase, where controlled energy modulation maintains the temperature increase for a further 21 minutes. Dynamic Contact Cooling™ throughout the entire treatment provides the necessary protection to the surface of the skin. Total treatment time is 25 minutes. Proper patient selection and setting realistic expectations is the critical key step to embarking on non-invasive fat reduction and body shaping treatments. Ideal candidates are those with a BMI≤30 presenting with unwanted stubborn areas of adiposity that are resistant to reduction with diet and exercise efforts. During the consultation, it is important to understand a patient’s goals and ensure they understand how many treatments are needed, how often and how long the results could last and that, importantly, results can vary from patient to patient. skin photosensitivity, use of photo-sensitizing medications or recent sun exposure (within 7 days before or after treatment). A full assessment of the proposed treatment area is required, during which any potential issues that might contraindicate treatment as well as identification of the boundaries of the fat deposit to determine the layout of the SculpSure® applicators can be made. Standardized pre-and post-treatment photographic documentation of the anatomy at a variety of angles should also always be undertaken. Other data, such as weight, circumference measurements, and fat fold thickness can also be used. The SculpSure® device is very versatile, using four flat, non-suction applicators that can be applied in a range of configurations to enable customized target treatment for each patient. Each applicator covers a skin surface area of 35 cm2 and these can be applied closely together to provide a continuous treatment area to larger anatomies or to individual separate spot areas if desired. 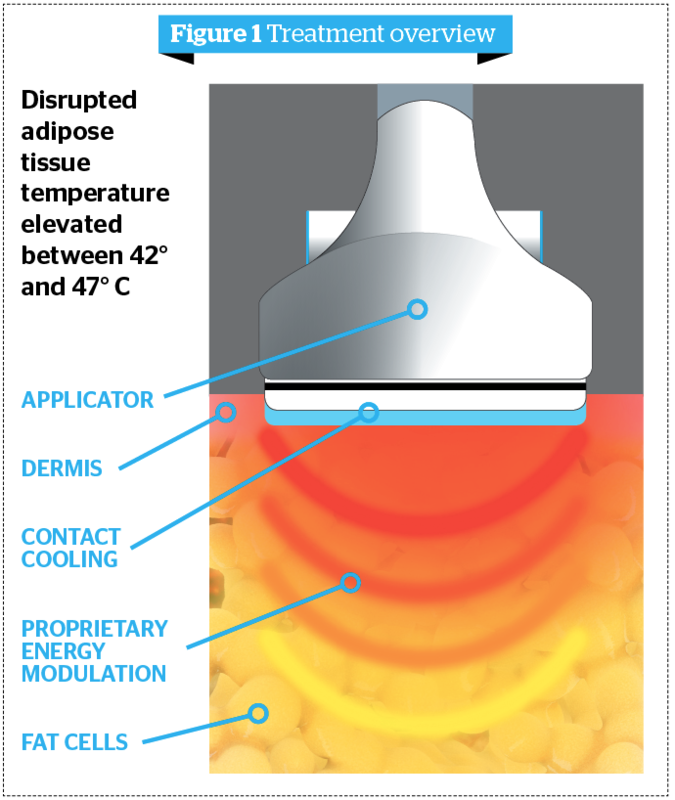 Studies have shown that the heat delivery from the applicator demonstrates a gradual feathering of heat beyond the direct area of the applicator surface to ensure a continuous treatment area and prevent any of the ‘shark bite’ appearance issues that are reported with fat freezing techniques5. The desired treatment configuration for an individual patient is determined using the template features demonstrated in Figure 2. Once this is finalized, the applicators are simply clicked into these template frames and are then held securely onto the skin’s surface during treatment. Skin contact sensors on each applicator surface also provide feedback through the device user interface if applicator contact is lost during any stage of the procedure. If this occurs, the user can easily tighten the belts or adjust the patient to ensure proper contact. For some patients, four applicators may be adequate to effectively treat the target area, while others may benefit from a core treatment approach where treatment may include the abdomen, flanks and back fat using additional applicators during a session for more coverage. During the 25-minute treatment, the patient will be able to feel the heating effects of the laser in the tissue. However, the Contact Cooling along with adjustable laser output parameters will enable this to be managed without undue discomfort. Once treatment is completed, the patient can return to their normal daily routine and activities without downtime. Good hydration and a healthy diet and exercise regimen are recommended in general but not required. Typically, two treatments are advised, at a 6-week interval, to maximize clinical outcome with full visible results expected by 12 weeks’ post-treatment, although some patients achieve their desired outcome is a single treatment. Possible transient side-effects that may occur post-treatment include erythema and/or edema to the treatment area immediately post-treatment, tenderness that may start on the day of treatment or up to 2–3 days’ post-treatment, tissue hardness, which may develop several days later and in some cases, nodule formation. These nodules can last up to several months but post-treatment massage for 5–10 minutes twice daily can help to resolve these areas. Burns or blisters are a rare occurrence, but are possible as with any laser, if the proper procedure is not followed. Treatment over the umbilicus, skin fold or thick scar should never be performed. A 50-year-old female presented with unwanted excess back fat under the bra strap position. On assessment, this excess fat was clearly asymmetrical in deposition creating a much more prominent skin crease on the right side compared to the left. The patient was in good health with no other medical conditions to note, consumed alcohol in moderation, kept well hydrated and enjoyed low-intensity cardiovascular exercise including yoga and walking but had difficulty targeting this area to reduce the unwanted fat. There were no scars or wounds/lesions local to the intended treatment area and no history of medication, allergies or possible pregnancy. The SculpSure® treatment was performed using four applicators; two applicators positioned directly over the fatty deposits bilaterally. The patient was treated with the maximum diode output with no significant side-effects from treatment but did experience the heating and cooling sensations expected during the treatment. Following the procedure, the patient was advised to keep well hydrated and lightly massage the area twice daily for 5 minutes. The patient returned to the clinic 6 weeks after the procedure. Their diet and exercise regimen had remained as per that undertaken pre-procedure. Comparison of pre-and post-procedure photography clearly demonstrates a significant reduction in the appearance of the fatty deposits under the bra strap and an almost complete eradication of the previous asymmetrical crease presence. The patient was delighted with the results and has since undertaken similar treatment to the abdomen area also. A 44-year-old female presented with general dissatisfaction with the appearance of her anterior abdominal wall following four previous pregnancies. On assessment, the patient was found to have excess anterior abdominal fat affecting both the upper and lower abdomen, in conjunction with some cutaneous creasing of the skin overlying this area. There was also some fat deposition in the ‘love handle’ region bilaterally. There were stretch marks present across the lower abdomen associated with the pregnancies and significant laxity of the skin across this anatomy. There were no hernias, lesions or evidence of any other contraindications to treatment. The patient was in good health with no other medical conditions to note, no medication or allergies. As a busy mother and career woman, she had time for very little exercise except for regular dog walking. During consultation, the patient was advised of the expected outcomes of treatment to reduce the unwanted subcutaneous deposits from the abdomen and love handles but that the device is not specifically indicated for treatment of skin laxity or to improve stretch marks since these factors were also part of her concern. Despite this, she still decided to proceed with treatment for the fat reduction. Three individual areas were addressed during the SculpSure® session. The first using four applications to the upper abdomen in a 2×2 grid formation, the upper two in portrait and the lower two in landscape orientation. For the second area, the applicators were applied across the lower abdomen using four in line portrait formation to maximize the coverage across the abdomen. The last area targeted the lateral deposits, using two applicators applied to each side of the abdomen in a portrait formation. The patient experienced no significant side‑effects but did have the heating and cooling sensations expected during treatment and some feeling of pressure or slight pinching depending on the area. This was not deemed of a level of discomfort to necessitate taking a break in or terminating treatment. Following the procedure, the patient was advised to keep well hydrated and to massage the treated areas twice daily for 5 minutes. The patient returned to the clinic 6-weeks post procedure for follow-up. 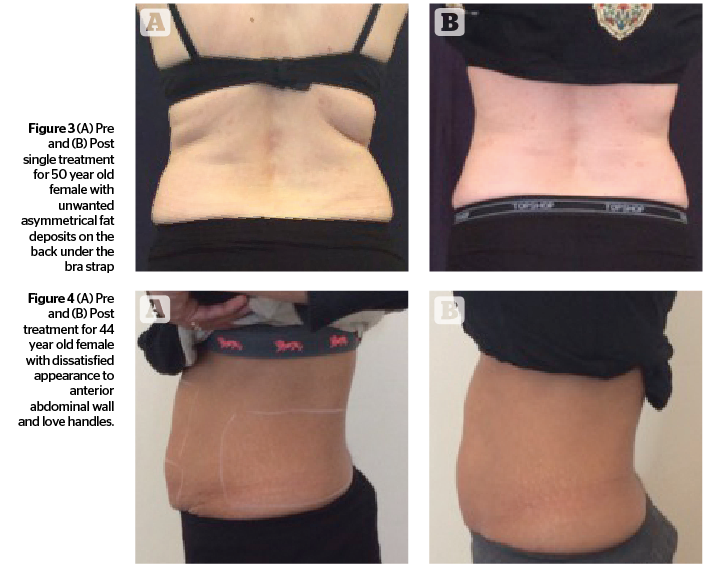 Comparison of pre-and post-treatment photographs identified a significant reduction in the visible volume of abdominal fat with associated improvement in the deep skin creasing across the lower abdomen. The patient also reported skin tightening across the lower abdomen although there was no change to the appearance of any existing stretch marks. Further data comparison showed that this patient had a reduced BMI from 21 at baseline pre-treatment to 20.1 at follow-up and a reduced waistline circumference measurement (taken at the umbilicus) from 28.5 inches at baseline to 26.5 inches at follow-up. Circumference measurement at the hip, where treatment did not take place, remained unchanged from baseline. The patient was extremely pleased with her results and reported increased body confidence. While the degree of fat destruction does vary between clients the author is impressed with the efficacy of the device and the consistency with which it delivers results. The device is both simple to use and extremely well tolerated. In our present series of clients we have seen no significant side effects and client satisfaction is very high. The Global Aesthetic Market Study XIV June 2016, Medical Insight, Inc.